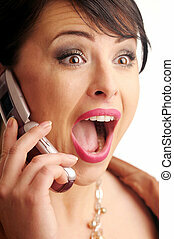 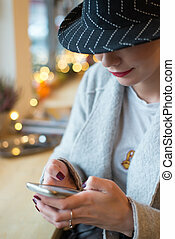 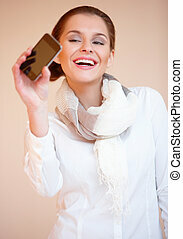 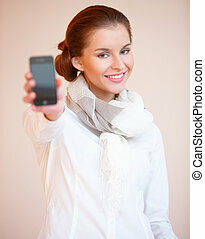 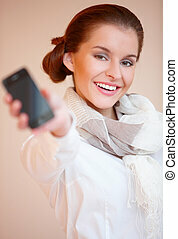 Atractive brunette woman with mobile phone. 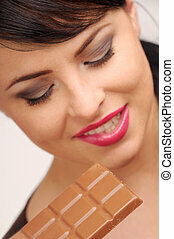 Atractive brunette woman with chocolate. 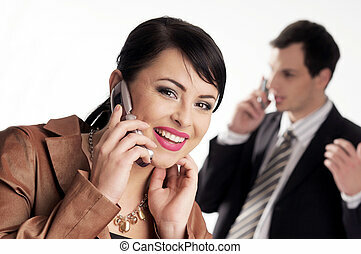 Young managers with mobile phone. 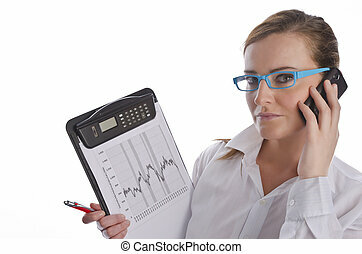 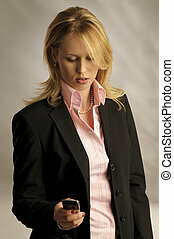 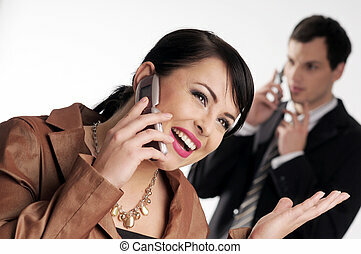 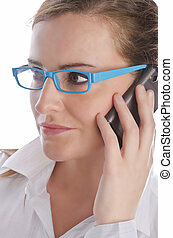 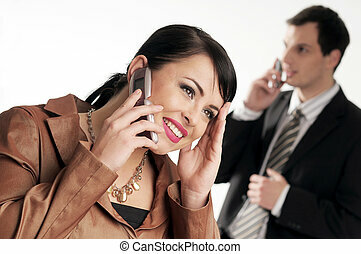 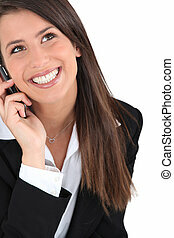 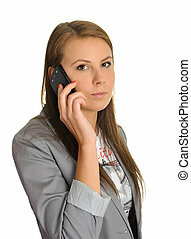 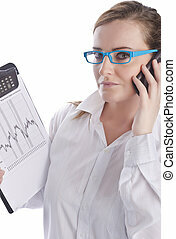 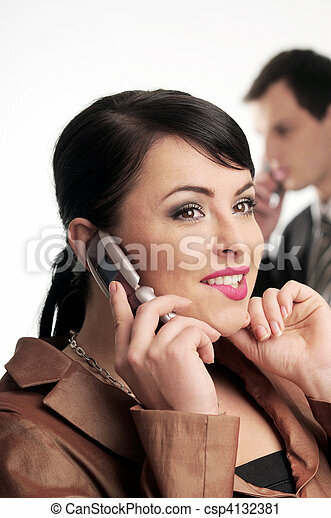 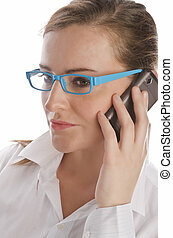 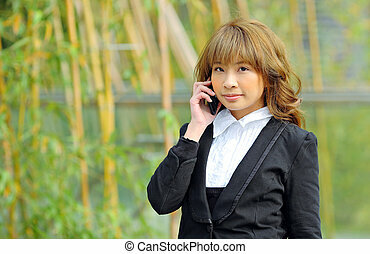 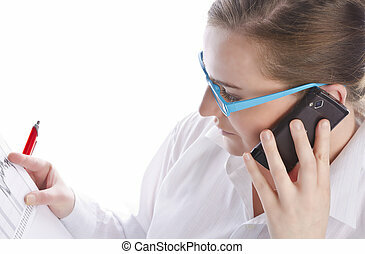 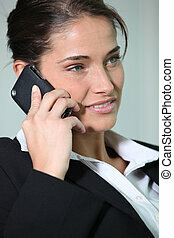 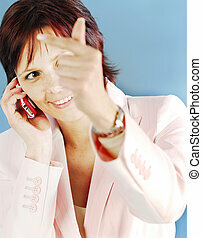 Atractive blonde businesswoman in black two-piece suit with mobile phone. 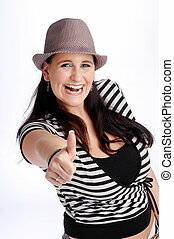 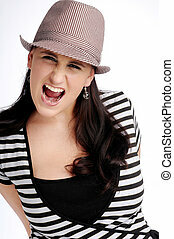 Atractive brunette woman with hat in striped black and white T-shirt.